Being away from home in a foreign country, its natural for one to connect to the loved ones every now and then. Making that phone call home would actually reinvigorate you for the rest of the journey in India. Since making a call comes under the very basic needs of a person, one should definitely be well- informed of the options. So what are the options available while travelling in India for making phone calls? Let’s find out! Most hotels in India will have the option for you to make long distance calls from the hotel room. But it is best advised to avoid using these facility from the hotels as they may charge huge amounts on the pretext of premium rates and service charges. So unless money is not an issue, there are other affordable avenues to explore for making calls in and out of India. Making calls from India has become effortless and easy on the pocket. One can look for STD or ISD booths across India. Usually every locality; every nook and corner will have shops with STD and ISD booths. You can make local, national and international calls from these outlets. The booths will have a meter and you will be billed for the duration of your call without any overheads. Sometimes at the STD booths, the call is put through a net phone and the regular rate is charged. You can differentiate that from a regular call if you get an echo while calling and even ask the operator for switching to regular call or charge accordingly. Cell phones or mobile phones could also be used by procuring the pre-paid SIM Card from a local Service Provider. This to my opinion is the best option as you would always have a phone with you and make calls at your own convenience at any time of the day. Moreover call charges that are offered are also very consumer friendly hence this would for sure be light on your expenses too. There are various service provides; Airtel, Aircel, Vodafone, Idea, TATA to name a few. Most shops will need to see proof/receipt of where you are staying such as your hotel, your yoga ashram or guest house. You can always ask your hotel to assist you in buying a SIM. Make sure you have all these details with you otherwise no one will sell you a phone or a SIM card in India. If a shop owner says they can’t sell you one because you are a foreigner then just look into another shop. You should remember that if you are a foreigner, you will have to provide passport copies with photographs and valid visa of course for pre-paid connections and have a local Indian address. This is to avoid illegal activities in India. You will have to verify your connection, make sure you do this correctly. Make sure your mobile phone is un-locked for all networks. If you are a foreigner traveller in India, it may not easy to buy a SIM card. If you have roaming facilities, then use it. But the fact is that even the tiniest of shops in India will sell SIM cards. You just need to deal with the bureaucracy. In addition, when you step out of the customs at the IGI airport in Delhi or other any other major airport in India, there will be a stall where you can buy pre-paid SIM cards. Another great post on Indian Travel facility. I also agree with you. Calling from hotel is certainly wastage of money. Local shop or booth are the best place for ISD call. I agree Ahsan, use of hotel phones is waste of money. Best is to use mobiles if you can get a SIM or use the booth. Thanks for your comment and hope to see you again. Yeah! that’s true .. great post , but now anyone can make free calls using VoIP apps like Viber. Yes, Buying a new connection is better option than wasting your money @ STD booth or hotel land-lines. India is a country where mobile connections are cheaper than basic needs. I agree, mobiles can be a cheaper option plus you don’t have to look for a booth. One can just use the phone on the go. The better choice for them is to buy SIM, but will they be able to buy – with many people hovering around them to extract money on one pretext or another.A big question? BTW- The Lunch & dinner will be on me – one has to be in Pind baluchi – Choice will be yours. Mobiles has to be the best choice, thanks for confirming this. Thanks for the offer to go to Pind Balluchi. Will love to. Land lines has to be best choice but sometimes tourists to India may not have access to it unless they are staying with a friend. I agree that in developed countries, one do not find STD/PCO booths. I think its typical of South Asian countries to have them. Thanks Shalu for this info. I was wondering whether I’d be able to get a SIM card when I arrive at Delhi airport this weekend and you just confirmed it. I used an Airtel SIM card last year in Kerala 200Rps. which included 99Rps. worth of credit, which lasts ages. However-if I remember correctly-should you not use the SIM for 3 months, then you need to go through the process of buying a new one when you return to India. If you don’t use your phone for 90 days then its automatically deactivated. Some are now saying that it gets deactivated in a month if there is no activity. You might have to get another one. But the best way is to find out when you reach there by starting your phone with the sim in it. I agree, buying a sim card locally is best. You get it cheap and you are not limited at at all, you dont have to wait etc! this is good but it is a traditional way a little bit. for me i prefer to buy a Sim card locally. by this you can forget the trouble of going until this place for a call. no every things become easy and quick . also technology make life as comfortable. Yes of coarse taking local connection is a great option. Different mobile companies provide offers on ISD calls also, so its good to know the details and choose whatever best suits you. Telephone booths are not easily accessible now a days, So I don’t think so its a good option. Agreed? If I ever visit India and I will at some point, this information will be very helpful indeed. It is really important to be able to communicate via phone, when you are in a foreign country. Thank you for sharing this with us. Cheers! I am very glad when I first saw the new design blogs. Your idea view in this blog is very good . Definitely agree that it’s best to carry your own mobile rather than to look out for STD/ISD Booths. Hey nice post!!! I am moved by your blogging skills and find your posts attractive. Hey nice post!!! I am moved by your blogging skills and find your posts attractive.I agree with everything you mentioned. hi shalu, buying sim card is better option than using std booths etc specially if u stay in india for longer time. Internet phone service is an efficient and faster means of communication that connects people over internet that too at very affordable and low rates. I have listened many times about making phone calls in India. You have shared interesting topic.,,. Thanks for sharing. In fact, its cheaper with mobile phones. They were costly earlier. But mobile companies have many packs that make ISD calls as low as Rs.2 per minute, which is quite cheap. Phone call is effective way to communicate with people. Really amazing information about phone calls in india. Now-a-days people use smart phones, which has internet, thus people can make a call anytime and talk to their loved ones. Generally websites use Gmail to make these international phone calls facility, so that users can use it anytime, with no waiting time. Phone call is effective way to communicate with people. There are different means of communication, but phone is the fastest way. With change in time and technology, it is the era of making PC to phone calls and getting in touch as and when you want. Hey nice post, i am definitely agree with this. Thanks for this nice tips. Hi Shalu, Now a days India is going very forward in the direction of communication. It is good to us every people has their phone and able to connect from one people to another. Cost of new connection is also reduced. Hence almost STD and land line phones are at their last stage due to low cost handsets. We can also use online phone call services. however buying sim is essential. Thanks shalu. Hey Shalu, I am asking you one thing that buying sim card is a better option than using std booths etc If you stay at a particular place for a long time. Absolutely right but its difficult for foreigners. If you are Traveling or on a business visit to India, a prepaid plan would be ideal, Evan if you plan to stay for as long as 4-6 months, a prepaid plan would be a cheaper and easier alternative. Your phone call tips are so important who travel India. So i like it. This is interesting information. so much easier if traviling to India. thinks for sharing..
It’s true that calling home when being away on a tour or journey, is one of the basic need of a person and to get this need fulfilled she can not bother even to spend some extra bucks to make that phone call.But why to spend more money when cheaper options are available.Local phone booths are best option,if you cannot avail of mobile sim and you can find them on every corner of street. A very informative article indeed..great work Shalu jee. Hmmm Shalu, I do agree making ISD from hotels and restaurants is so much expensive in India Meerut it will be very hard to find std booth. But on the other side if you travel to chennai, then you will realize that there are still std booth. Now according to the latest news Thailand had carrier based sim. Very good and well described article like always. keep writing mam. it’s a nice post for gettin information about how to make calls but u may right about android VOIP Calls…. I think it is good because you cannot use the number it is automatically deactivated… I thankful to the admin of this blog. 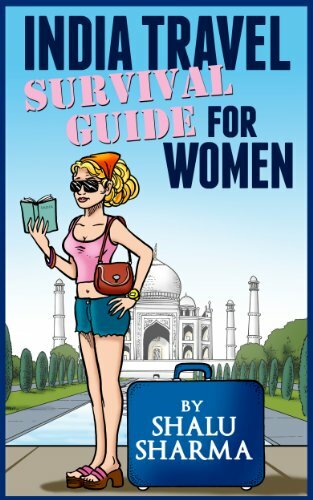 Holla author of this blog, I am from germany and I am going to come Delhi in India for my company’s work. I am trying to learn some basic things about lifestyle of India. I hope this things help me when I will be in India. This is one of the best information on making phone calls. If you are coming from outside then buying sim card is a bit tough task but you will get it easily by some indian guys. Wow….I must say you have provided a complete package for foreign people. I always prefere using Vodafone networks to making calls in India and skype to make calls outside India. Hello mam, Great post mam ! Thanks! 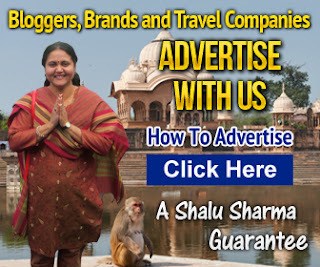 🙂 you are such a great writer..
Hello shalu mam,This is my first visit to your blog and your posts are simply superb.This post will surely help lot of foreigners who are planning to visit india.Thank you for sharing such an useful info mam. Hi Shalu, your article is really inspiring, especially for me because in the area I come from, they are very rarely found “public phone”. Hi Shalu ,Do n\’t have time to visit physically, it is not possible to do all work on phone.Why are you too busy ? In India it is very tough to buy new sim, if you are from outside but local Indians with more money can buy sims easily here. Good post Shalu mam. Getting a phone and a native sim card is the first requirement when we are in a new country. 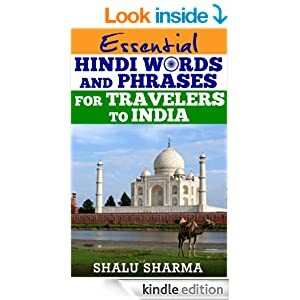 This would be very helpful for those all who are planning to visit India. I would really love to recommend this article to two of my friends in Amsterdam who are planning a trip to India. Thanks mam! sim card are available easily in india , as if you are buying toothpaste. hotels charges more than double money for making calls. This is a great and rewarding post, I consider recommending it. Thanks for sharing this great info here. Like your thoughts of sharing ideas.Its good to have a mobile with you when you are travelling somewhere.keep doing it. Another great post on Indian Travel facility. Amazing. Thank you for all your useful informations. Thanks for the very informative post about making phone calls in India I will now know how to do so I’m thinking of travelling there that was one of my main concerns THANKS! first of all i would like to thanks all of you for the great post and keep updates. and i will share with my all friends that great ideas! Thanks Author for sharing this amazing article with us. you done such a great job and thanks.. This is one of those articles that every foreigner might read and have a go as once they got stuck in between at any place they have to be aware what to do in that situation if they don’t have any other source of communication. it is very informative and useful article i actually enjoyed reading this article thank you for sharing such useful article. Good work bro and all the questions asked are informative and useful to all the bloggers to make a note of. This blog is really nice. I am seeking such type of information about India. I am going to have a trip to India next Friday. It’s great to see your post. You help me a lot. Thanks so much for the useful share. Thanks for sharing such outstanding and an enthusiastic information with us. Your research and collection of information is really exceptional. The article covers full of great knowledge and well authored. Useful sharing! 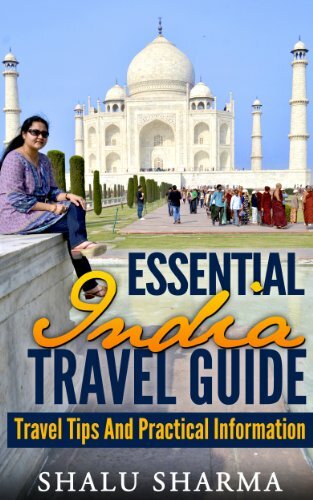 Very useful Guide for All Over Visitors in India, And also Your Explain to “best advised to avoid using Calling facility from the Hotels”.Thanks For Awareness for All Tourist In India. We can also use online phone call services. however buying sim is essential. Thanks Shalu for this very informative post.